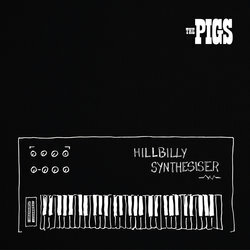 ﻿ Amrap's AirIt | Australian Music Radio Airplay Project :: Country :: The Pigs - Go! Robot Goat! Amrap's AirIt | Australian Music Radio Airplay Project :: Country :: The Pigs - Go! Robot Goat! The Pigs - Go! Robot Goat! Go! Robot Goat! is a banjo-laden story of a goat named Oliver with laser eyes that was created from a secret government experiment, escapes and befriends a family who keep it hidden from the men in white coats.